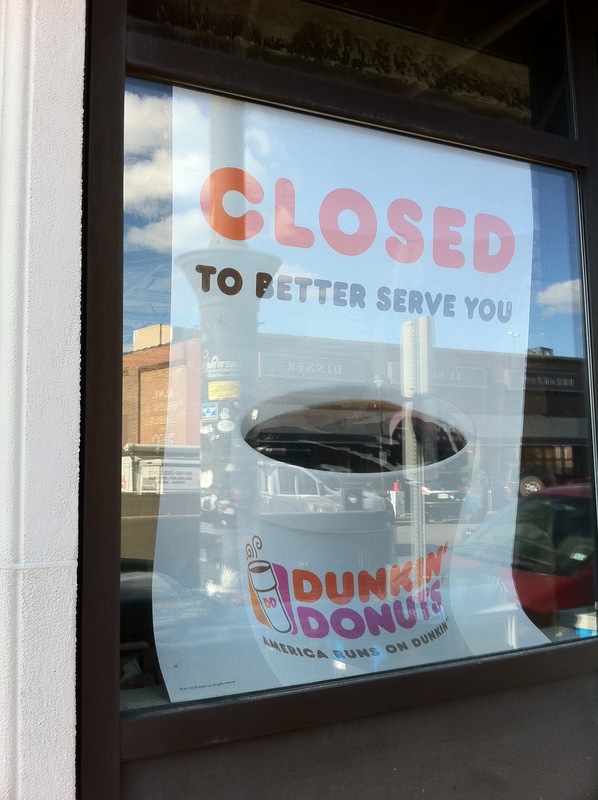 Was walking down Derby Street this weekend and passed the Dunkin Donuts near Beer Works. It's currently closed for remodeling (shrinking). The sign in the window was about the truest thing I think I've ever seen. We definitely would be better served if there were a few fewer Dunks around, and we all ate fewer donuts..
What a riot! You should send this to Joy Leno. Thanks for sharing this!! Couldn't you have at least caught a picture of yourself in the reflection? You are too crafty. I made sure I stood to the side.